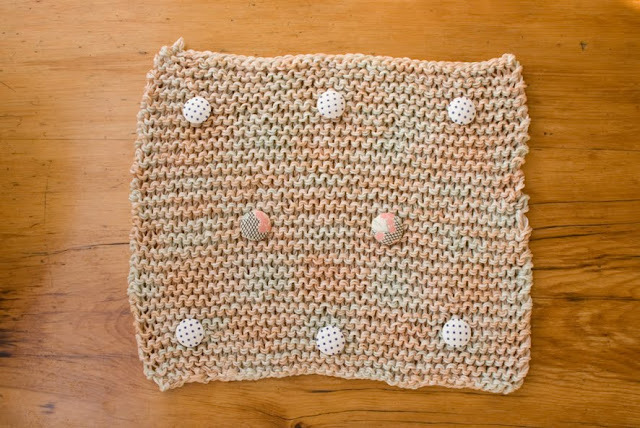 Even though I have already posted the finished image of Kim's beautifully knitted patch, You can see it here, I am posting up her beautifully photographed progress photos. I discovered her progress images in my inbox last night, I must have missed it when she sent them weeks ago. Sorry Kim! We Have a Fifth Prize! 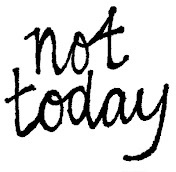 Thank-you Not Today!! Happy Monday! I have been so excited all weekend to tell you this... 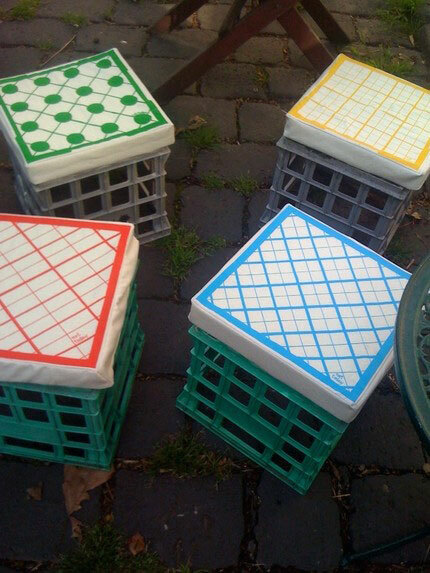 I got a super exciting email from the very lovely Gemma Patford from Not Today a week or so ago AND she has so very kindly donated a set of four of her Milk Crate Cushions (the cleverest idea!) as the fifth prize in the Project Patchwork raffle night! Yay! Could this raffle get any better? 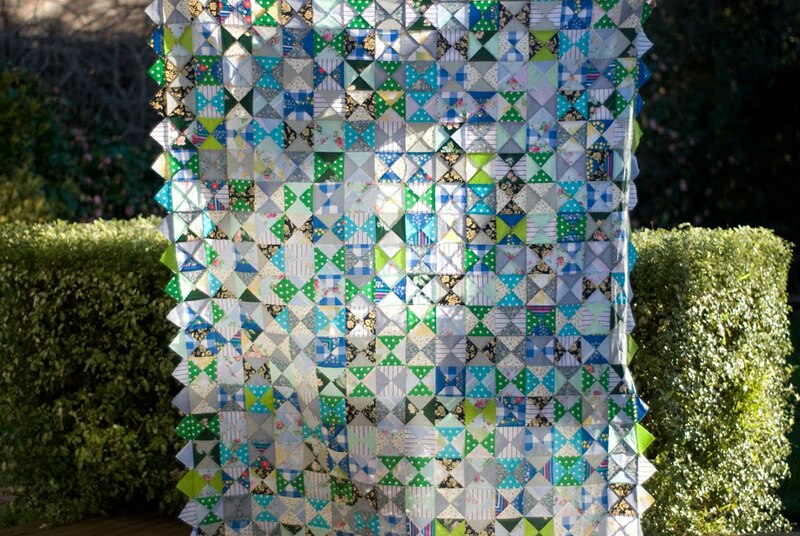 Please join us for a drink to celebrate and raffle the 2010 Project Patchwork quilts. As you may already know, the money raised will be donated to the wonderful organisation the Australian Cambodia Foundation. 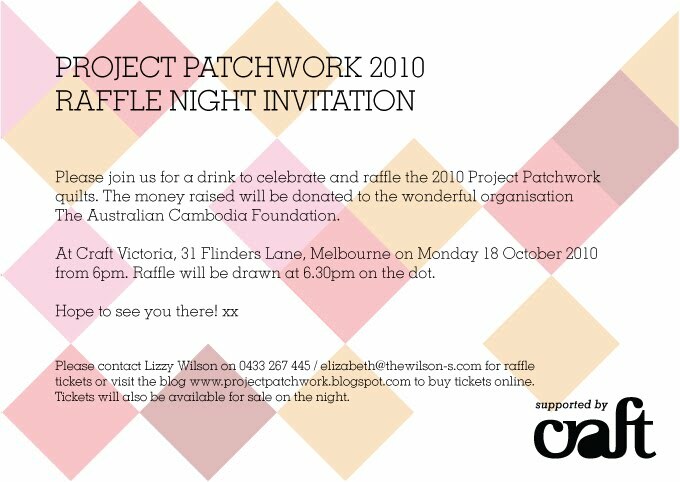 The raffle will be held at Craft Victoria, 31 Flinders Lane, Melbourne on 18 October 2010 from 6-8pm. The raffle will be drawn at 6.30pm on the dot. I hope you can come and please feel free to bring your family and or friends! Click on the invitation to view at full size and right click on it to save it and send it on. Look at all the beautiful patches I received last week! 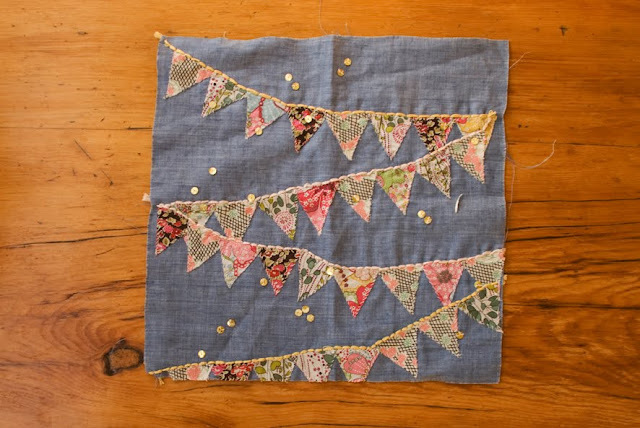 Chloe has sewn the pretty bunting from her good friend Kat's wedding. Kim was so ace and decided to knit her patch and made buttons out of the PP fabric! 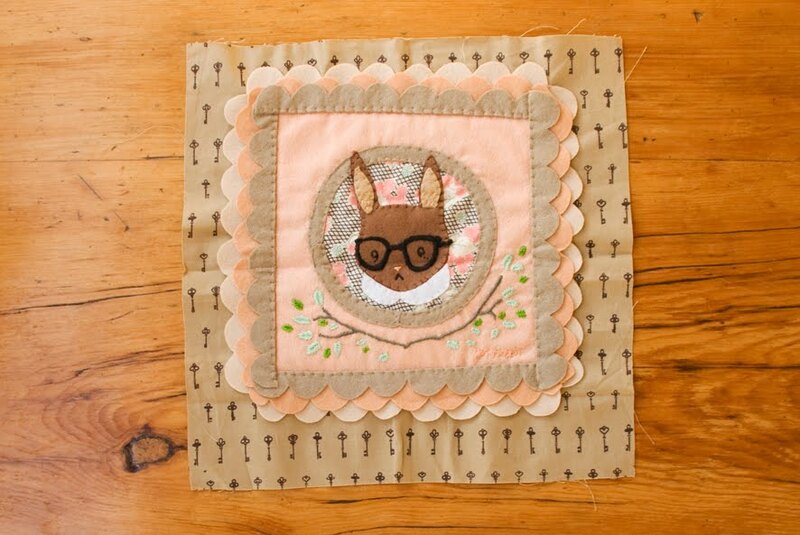 Cat has gone to a stellar effort and embroidered the most amazing detail into her cute-as nerdy rabbit patch. 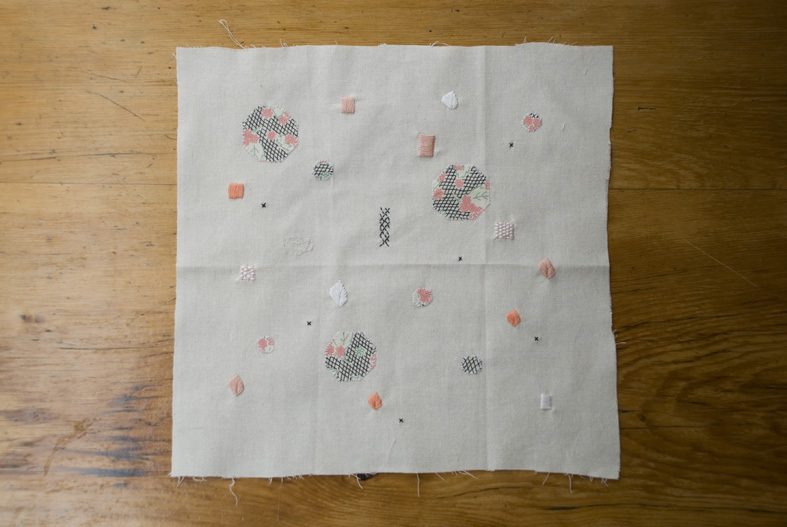 And Lauren chose such beautiful fabrics and has sewn a very lovely pebble pattern each embroidered around the edge! 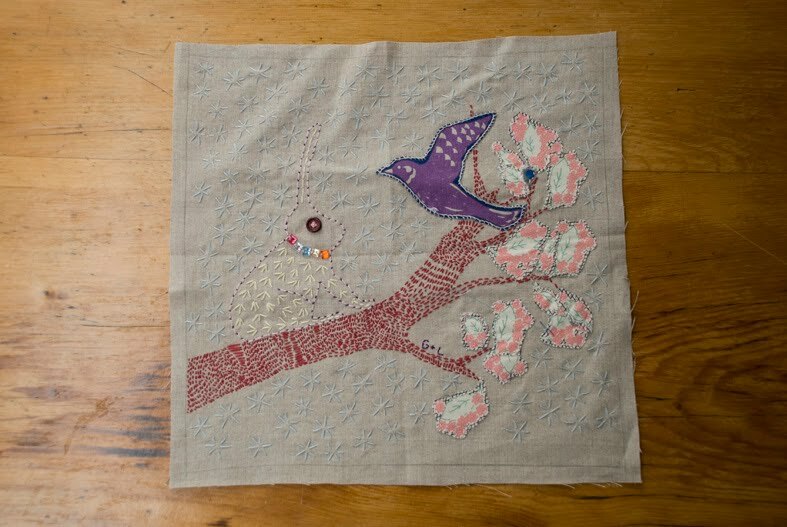 I'm excited to introduce to you another very talented Crafty Lady, Chloe Quigley! Although Chlo is very talented at sewing pretty quilt patches (despite what she may try to tell you), her craft comes more regularly in the form of words. 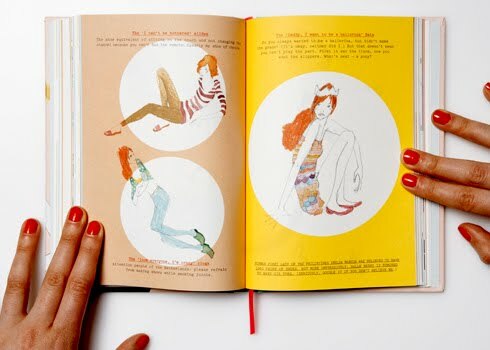 Chloe is co-founder/director/creator (along side Mr Daniel Pollock) of Michi Girl, the most wonderful weather and fashion forecasting daily emails I have ever seen, read or heard. 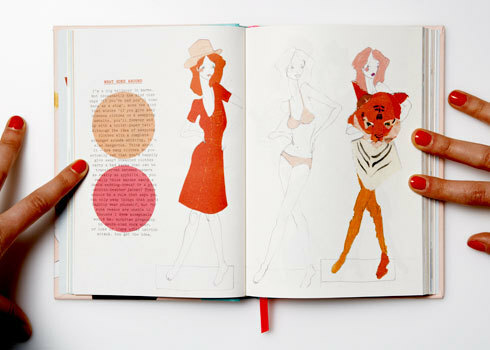 Chlo is constantly creating or retelling the most hilarious stories which relate to and run alongside a fashion product! Below is an example of a daily post, as I cannot explain in words how amazing they are. You should visit the Michi Girl website (if you aren't already a subscriber) as there are year and years of daily emails in the archive, which will keep you entertained for hours! 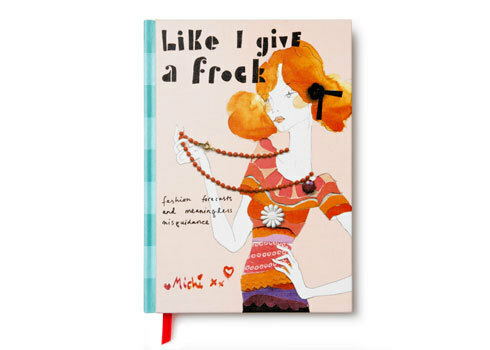 Oh and if that's not enough... there is a Michi Girl book too 'Like I Give a Frock' which was published in 2008!! Keep your eyes peeled as a little bird told me that there will be a second book coming out at the end of this year. Yay! If Michi isnt enough, Chlo is also one of 3 directors (along side Sim Elder & Kat Macleod, other crafty ladies!) 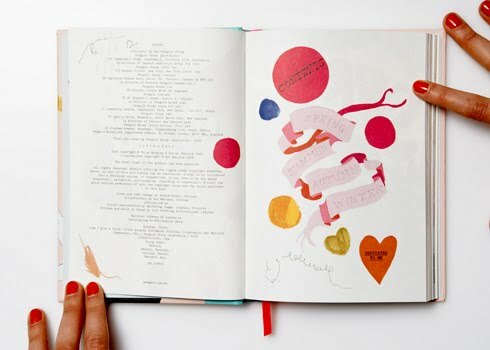 of the gorgeously lovely Ortolan graphic design studio. I'm pretty sure with two very successful and demanding businesses and two very gorgeous little kiddies, Chlo MUST have a Time-Tuner. Like that one Hermione has in Harry Potter, to turn back time so she can get more things done in her day. If she doesn't I don't know how she gets everything finished! 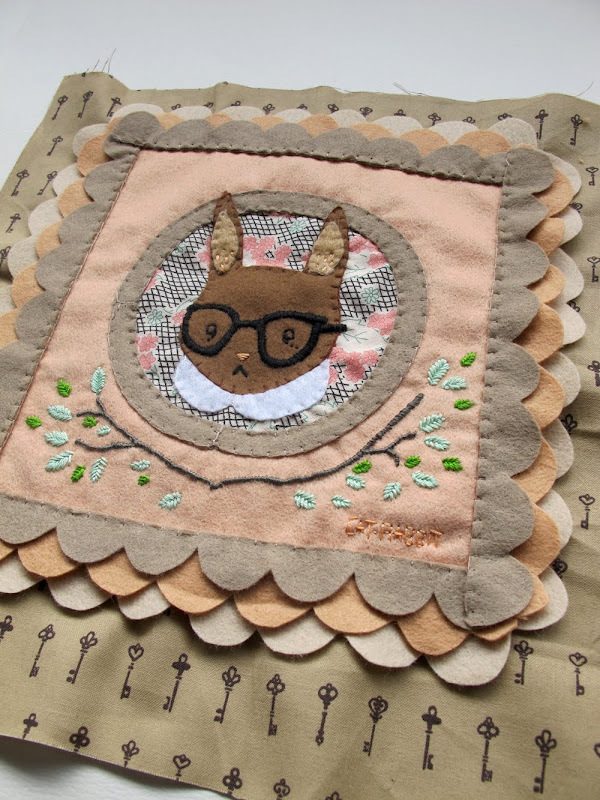 Remember at the very beginning of this project I wrote a crafty ladies bio about the lovely Cat Rabbit. Well, just look at her patch!!!!! Wow wow wow! I am in love. Not one patch has failed to blow me away yet. 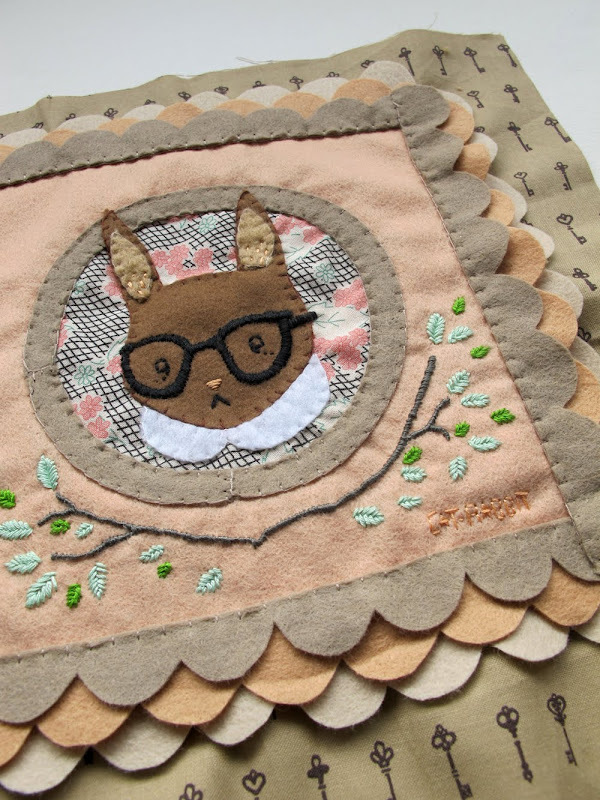 Check out Cat's website for more of her beautiful work and her etsy shop to own your own Cat Rabbit magical creation! 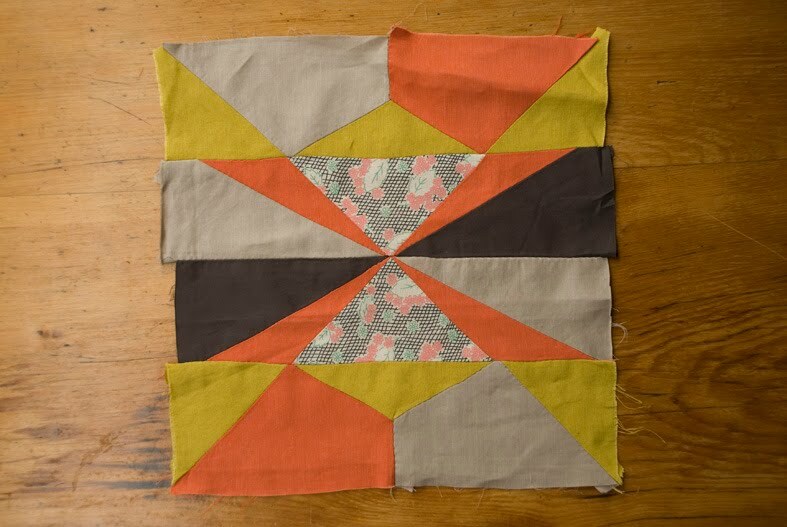 This weekend I finished sewing together the front of the Triangle Quilt! I have used the left over triangles for the border, so it looks a little spiky but I assure you its soft and lovely. I would know, I've have it draped over my lap all week! 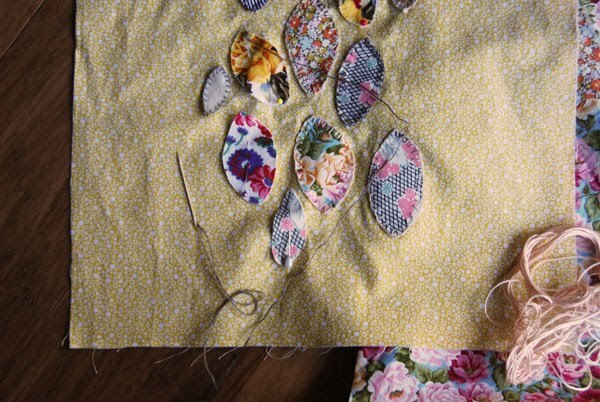 Today I got the backing fabric and the batting to start the quilting this coming week. I am so excited! I love that this project is making me take time to be crafty, some times life is to crazy that you forget to stop and do the things you love. 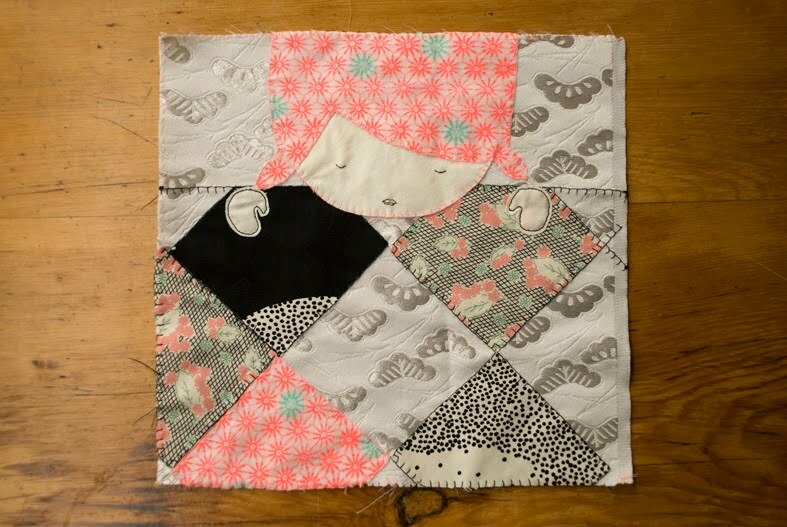 Mum has started to sew together the Heart Quilt and we are waiting for a few more patches before we start sewing together the Crafty Ladies & Gent Quilt! All seems to be going to plan. October is coming up very quickly!! 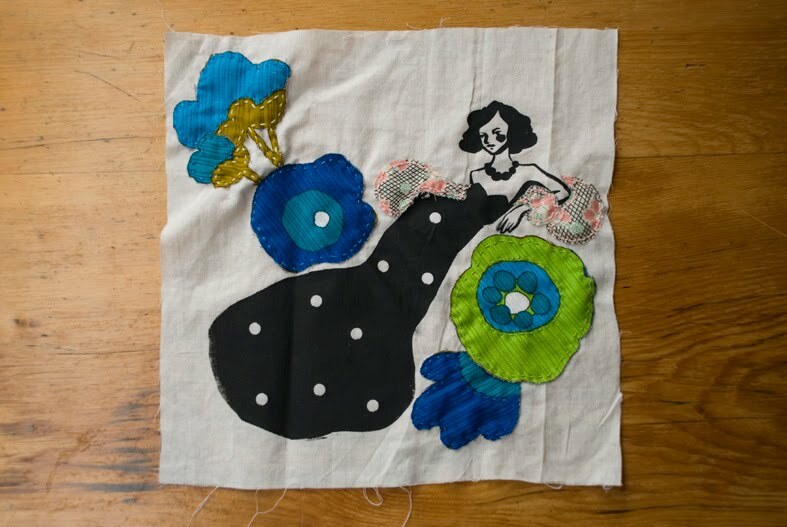 On another positive note.. More gorgeous things are coming out of this project then our ambition to raise money for the Australian Cambodia Foundation, a gorgeous friend has been so inspired by the sewing that she is taking up a new path in textiles! How lovely! 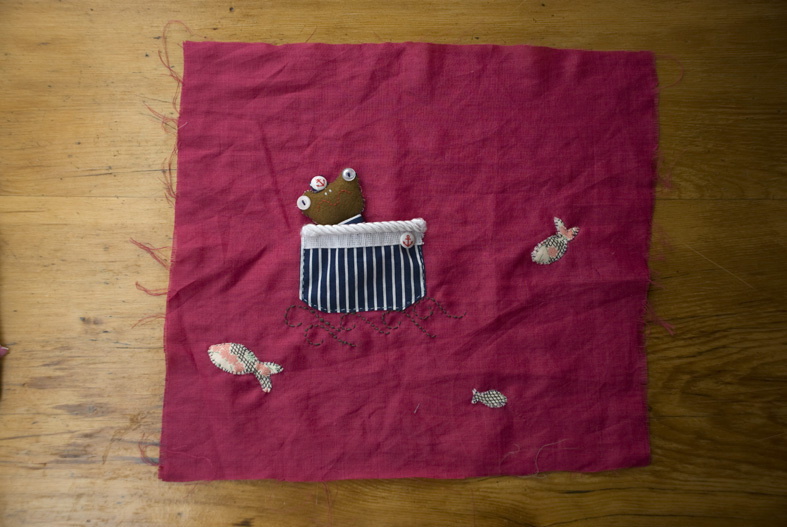 Kim Brockett, Craft Victoria administration officer and freelance curator is one busy busy lady. 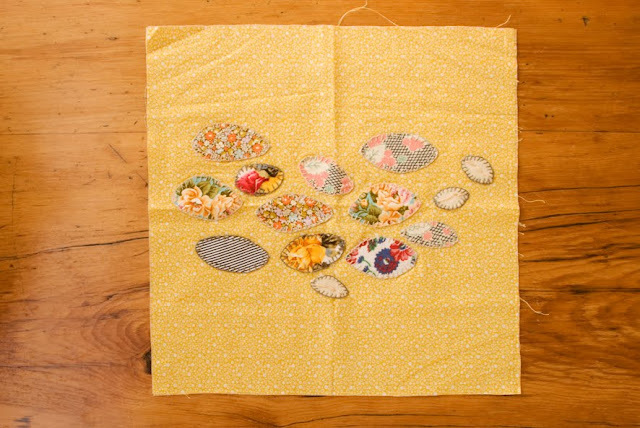 She has her eggs in many many baskets, one including Project Patchwork! She is sewing a patch for The Crafty Ladies & Gents Quilt. Yay! I swear every time I talk to Kim is telling me about another exhibition she has curated or project she is working on. 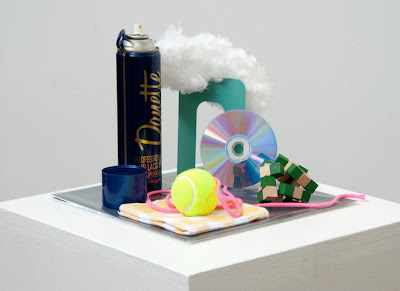 I'll try and sum up a few of her recent projects and exhibitions (that I know of anyway, I bet there are zillions more!). Firstly, Kim is the brains and muscle behind Craft Victoria's Craft Hatch markets, one of the most amazing monthly Melbourne markets, which gives young up-and-coming crafters/makers the opportunity to get their work out into the public. Kim always manages to get such a great group of stall holders, making for a very exciting outing for us market-goers. 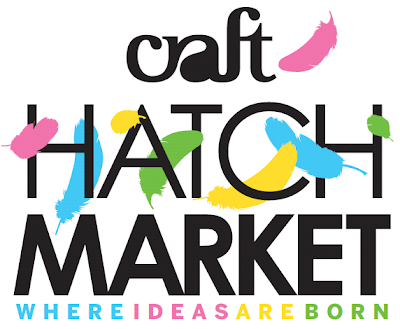 I actually met Cat from Cat Rabbit and fell inlove with her magical toys at one of the Craft Hatch markets. 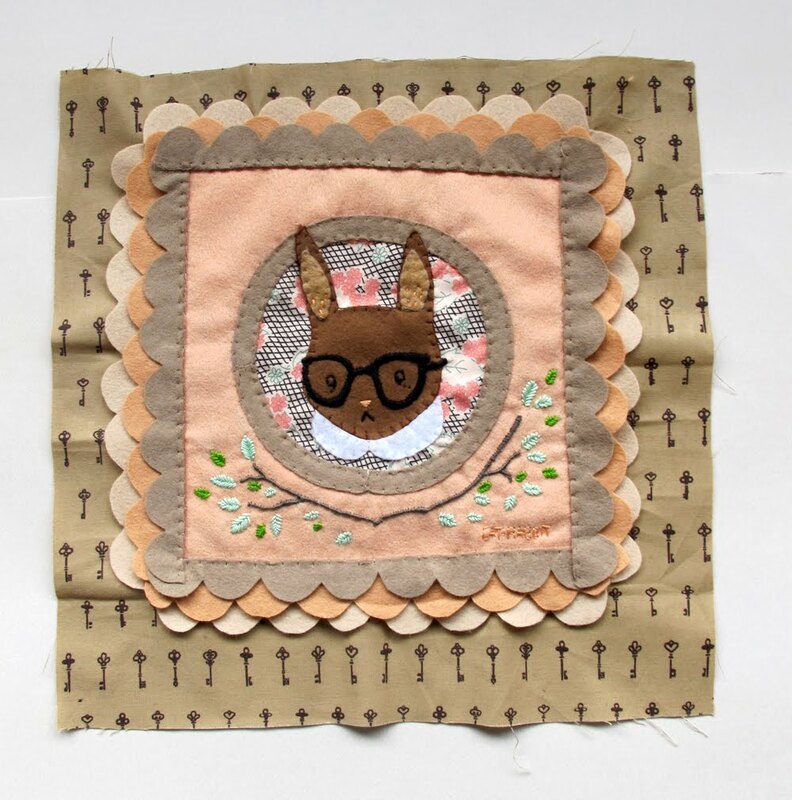 You may know already that Cat is also making a patch for The Crafty Ladies & Gents Quilt too, if you didnt, well now you do! Kim is also in charge of the Craft Victoria clog. Always updating it with Craft Victoria news and related events. 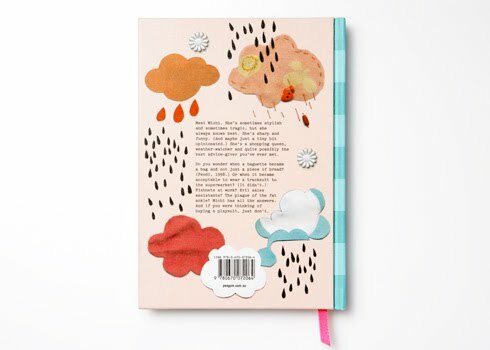 A fantastic blog & one of my favorite lunch time reads. Yesterday I got a facebook invitation to Gemini Scorpio a Craft Victoria Craft Cubed satellite event of Antuong Nguyen's new sculptures & film being exhibited at the City Library, and curated by Kim. More info can be found here. 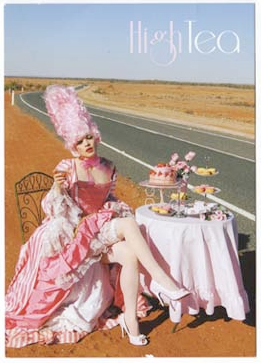 Kim also sent me an invitation to High Tea an exhibition she is curating for the end of the year, more information about that one to come. 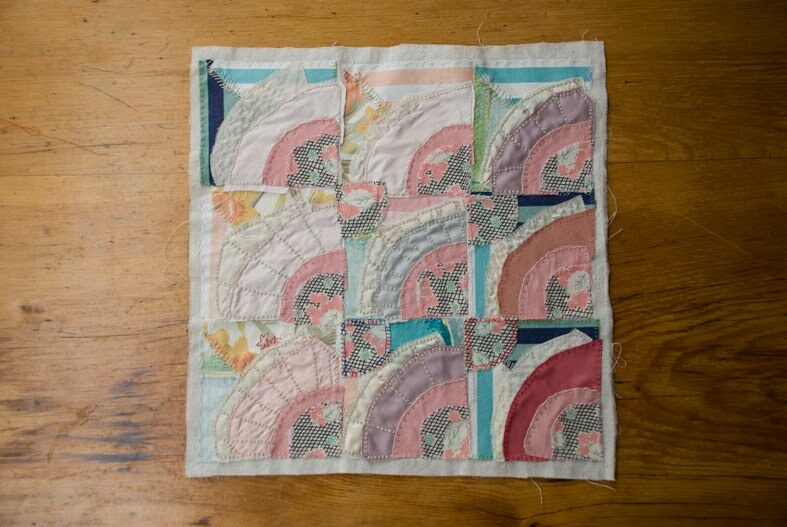 One thing I do know is that Sharon Russell who sewed together a Heart Quilt patch for PP is going to be in it and she knits the most amazing fruits! 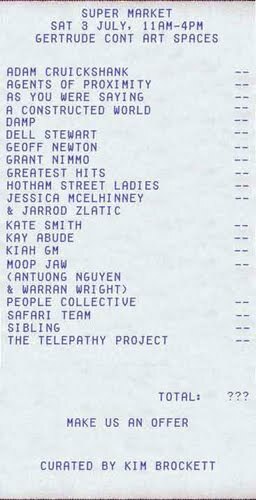 A few weeks ago my sister and I attended SUPER MARKET, an exhibition Kim curated at the Gertrude Contempory Art Spaces in Fitzroy. It was so so awesome! The idea was that the artists involved would exchange their work/ideas/creations for offerings from the public. 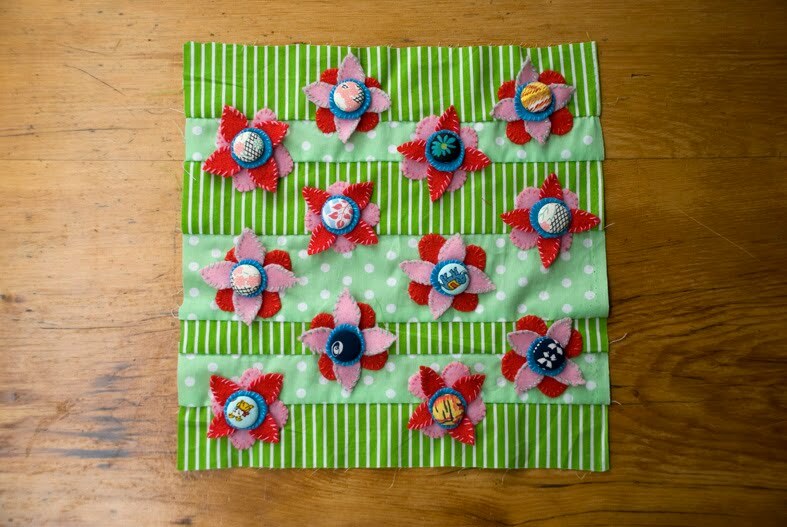 Dell Stewart (a sewer of a Crafty Ladies & Gents patch) was one of the stall holders trading her beautiful wears! See the invitation above for the other artists involved. 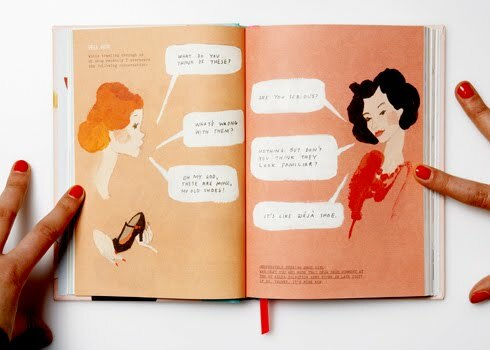 How perfect is the invitation design, I love it! At the beginning of the year Kim along with Nella Themelios (another Crafty Lady, bio to come) curated an exhibition called Insert Coin Here as part of the 2010 L'Oreal Melbourne Fashion Festival. A moving exhibition of vending machines which were strategically placed around Melbourne containing 'fashion objects' made by 60 Melbourne artist, designers & crafters. The work was placed inside little plastic balls which could be despenced randomly at the cost of $2. 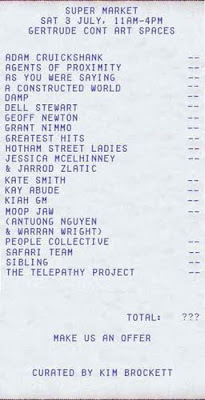 Check out the artists who were involved here, some of my very favorites!! Look! Its Lauren Mahoney's progress images!! Aren't they beautiful! 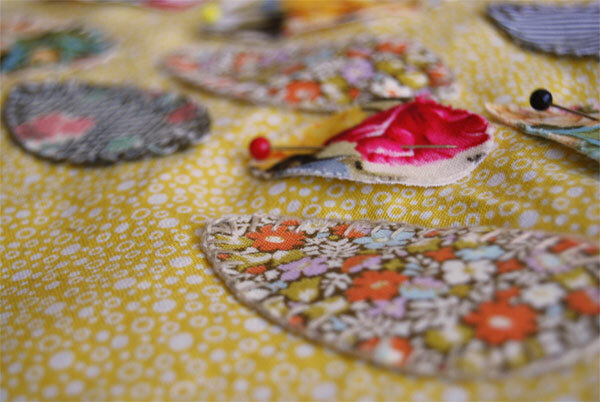 Such lovely bright happy colours, and I LOVE the mix of prints! Ohhh, exciting! Keep your eyes peeled for the whole patch some time next week. Its taken me a while to get myself organised and photograph the latest patches that have arrived in the mail (some arrived weeks ago. sorry! ), but I've done it! Check them out below. Some you have seen glimpses of before, some this will be your first squiz. If double click on an image it will open up larger. Each are very beautiful! It making me very excited. I cannot wait to see them all together sewn into one big quilt, who ever wins this is so lucky!! Come and join us for a drink at 6pm. Raffle will be drawn at 6.30 on the dot.